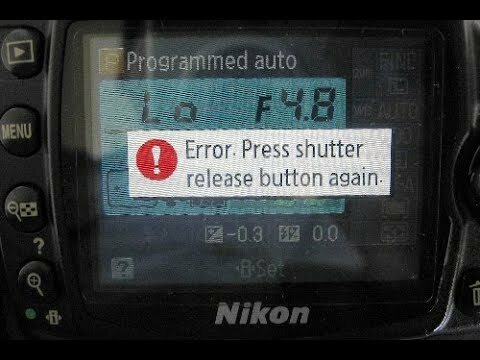 When I take a photo on my Nikon D5000, it comes up with an error "press shutter release button again". When I do that, it gives me the same error, and my pictures turn black. Also, when I take my lens off, the mirror is stuck up. Check the viewfinder for some kind of error code, I had the same issue with my D80, and there was just ERR message, if the same will happen to you, the DSLR will need to see a repair shop. Not the answer you're looking for? 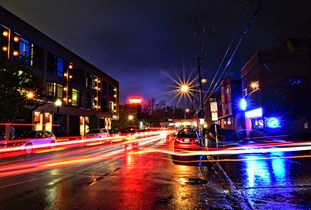 Browse other questions tagged nikon troubleshooting shutter mirror or ask your own question.